I searched the Web for hours looking for a quality bag that I felt represented the spirit of adventure I was looking for. As with most great finds...the hours of searching was about to take its toll, and I was about to stop searching when I decided to try one more site that didn't even sound like some place that would have the type of bag I wanted. So I clicked on Magnoli...and on the first page there it was...a photo of the bag I have been searching for. I placed my order...but the British Mark VII (Adventure) Satchel, was not in stock. I was given the option of having my money back...or waiting. I waited...and I'm soooo glad I did. My bag is the perfect bag I wanted...rugged, rugged looking, easy to carry, it holds all the things I wanted it for...but also, an important factor to me. My bag is unique and not available just anywhere. I couldn't be more pleased with my "Adventure Bag...", and doing business with Magnoli's, was a great business experience. I was kept up-to-date on the status of my order...and because I had to wait for my bag to be made...I was given a free pin. 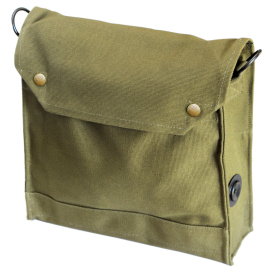 Another part of my experience with Magnoli's that impressed me...I was sent an email letting me know that my new "Adventure Satchel" was on its way. I reside in Scottsdale, Arizona...USA and from the time I received my email...to the time I received my bag was approximately 5 business days. My total experience with Magnoli's was A1 all the way. I highly recommend Magnoli to anyone wanting high quality products, more than fair prices, and professional service...you can't go wrong here.